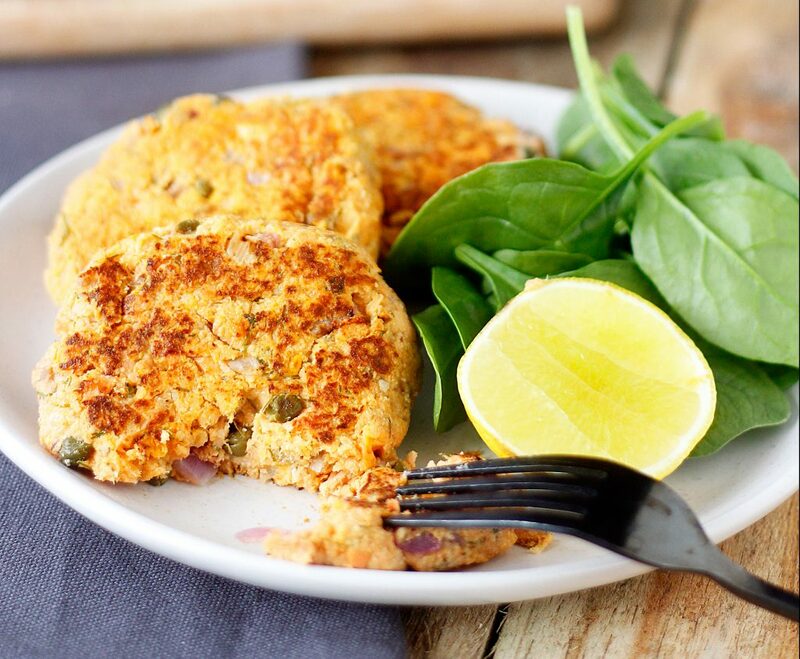 A simple but nutritious family favourite, these patties are quick and easy to make but pack a flavour punch. Peel sweet potato and cut into chunky pieces. Place in a microwave safe dish with a 1/4 cup water and cover. Microwave on high for 8 minutes until soft. Drain away water then transfer sweet potato to a large bowl and mash with a fork. Add to the bowl of mashed sweet potato: drained salmon, onion, dill, capers, lemon zest, lemon juice, beaten egg and breadcrumbs (or quinoa flakes). Stir mixture well to combine and season with cracked pepper. Take care when turning the patties as they may be soft. To make yoghurt dipping sauce, combine yoghurt, crushed garlic and dill in a small bowl and stir.